In the last 2 weeks Camden has rolled over twice. From tummy to back. The pesky bottom teeth still won’t bust through the gums. He moves his legs constantly. Today the thumb finally made it’s way into the mouth. 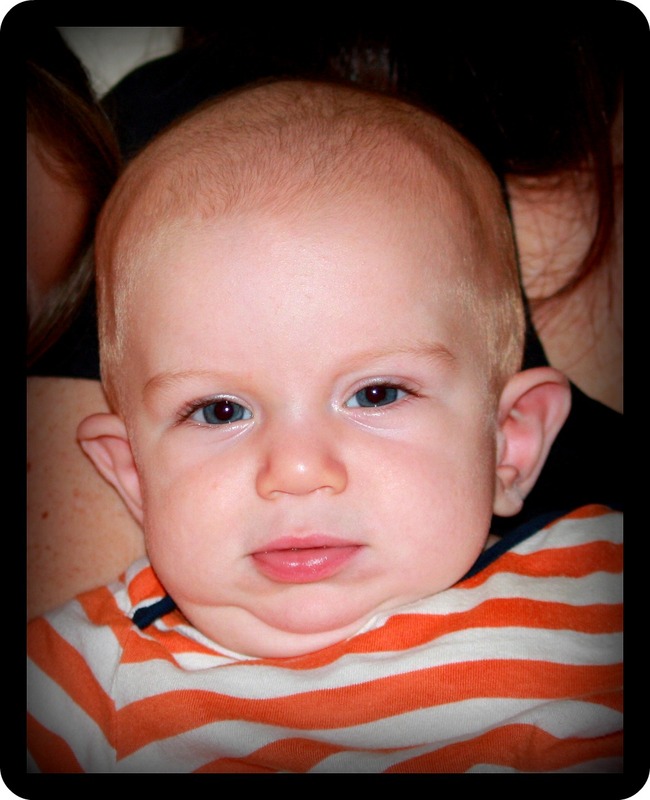 Camden is my precious pea (and he doesn’t get the double chin from me). Oh, he’s sooooo cute! I love watching him roll over! Think he’ll be a thumb sucker or was he just messing around? Thumb sucker would be more convenient than keeping up with the pacifier! adorable & squeezy. can’t wait to get my arms around all of them. looks a lot like S!